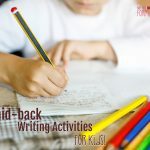 Want to raise a writer? 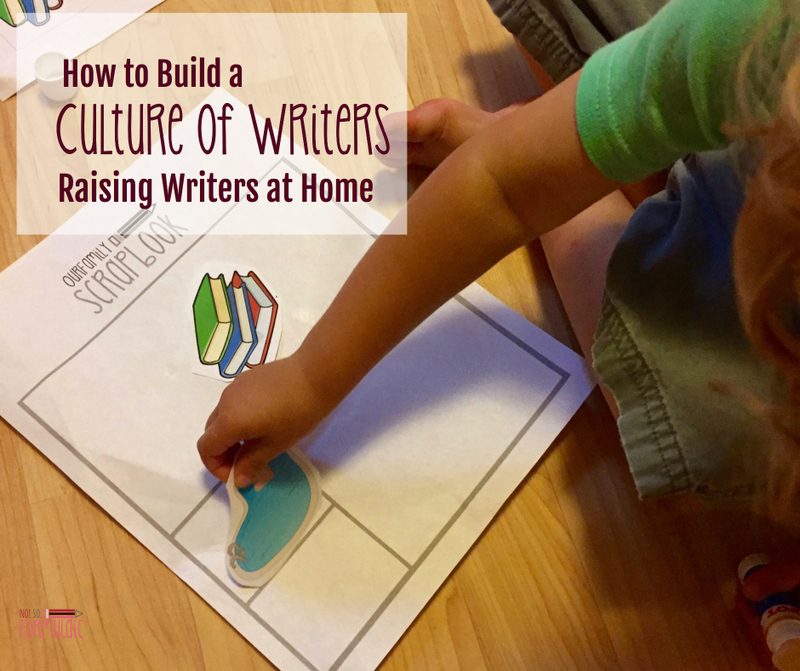 Change your perspective of writing means and you’ll build a culture of writers at home. I’ve taught writing for 15 years. Out of the hundreds of students I’ve had the privilege to serve, only a handful truly loved writing. The rest of them found it unappealing at best, and downright torture at worst. Our academic culture has sucked joy from the process. 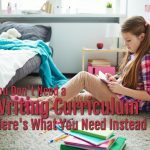 Writing isn’t about connection anymore – it’s about correctness and form. It’s how we learned. It’s how our parents learned. And now, with few exceptions it’s how our kids learn, too. I think it’s time we challenge the norm. The traditional perception of writing instruction focuses on mechanics – across the board. First for young children comes the physical aspect, the ability to hold a pencil and make meaningful lines and shapes. Once they’ve graduated to conventional writing and spelling, the emphasis shifts to structure: create a sentence; build a paragraph; link them together; repeat. It’s true these skills are important, and I’m in no way advocating their desertion. What I’m suggesting is a return to a culture of literacy, one which shifts the focus of writing instruction away from structure and toward the development of thinking, conversing, and expressing. It’s similar to the reason reading aloud to a child is such an important endeavor: when writing is as natural as reading a book, parents build bonds with their children forged in discovery and respect. In our house it started with SkippyJon Jones, the cat who thinks he’s a chihuahua. There’s a dresser in front of the canvas now, but when I shove the thing to the side on occasion, I can still see a gaggle of cockeyed chihuahuas, dancing in circles around a giant sombrero. Sooner rather than later, it would seem. As time passed the tagging became more and more frequent. 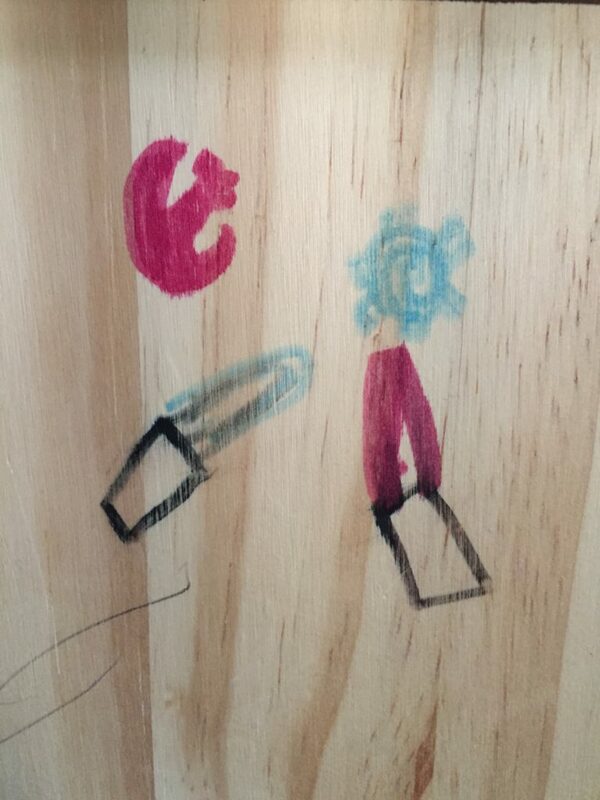 Neither wall nor furniture was an object to spare, not even the dresser in their baby brother’s room. I know most parents have a thing against graffiti. But confidentially, I’m encouraged by their tendency to tag. It means my kids are thinking. It means my kids are expressing. And if they feel confident enough to write what they think, it means I’m doing my job. I’m unconventional when it comes to thinking about writing. 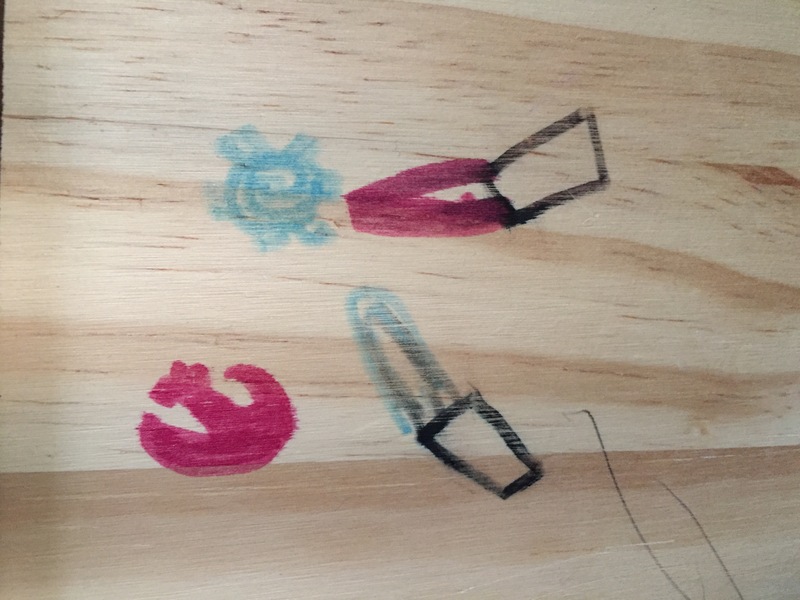 I look at my kids’ creations and adventures as writing in its purest form. Lego creations. Imaginary play. Time spent with playdoh or a set of watercolor paints. 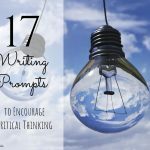 All of it is part of the process of writing, of generating, communicating, and refining ideas. It leads them to think about who they are, where they’re going, and what role they’ll play in our beautiful, complex world. That’s what writing is to me – not a set of structured paragraphs with rules, expectations, and inflexible forms, but a matter of discovery, of relationship, of dialogue and thought. When we begin to approach writing form this manner, the fear of the process falls away. 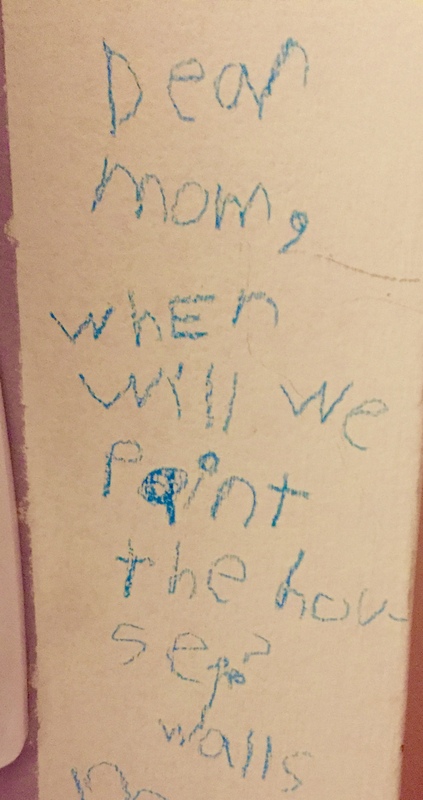 Children raised in a home where writing is present are far less likely to eschew it later on. What makes you, you? What do you love? What do you dream? What do you think you might do as you grow? The Family Scrapbook provides space for all this and more; you can brainstorm together and record your thoughts. Let your children’s imagination run wild; try found objects, words, pictures, or stamps. Gather your pages into a binder to revisit and revise and desired. Our world needs positive, productive conversation, and our children play a key role in moving us forward. I adapted this activity from an American Heritage Girls lesson: my six year old created a circular diagram of the levels of government. I used this technique to teach my kids about society. The circles show the relationship between the self and world, and each concentric ring reveals wider connections. For toddlers and preschoolers I stick with family constellations, building a circular family tree of sorts. For older children we talk about communities, discussing how they fit in our neighborhood, state, country, and world. Designate a notebook for family use. Fill in your hopes, your dreams, your goals, and desires. Give everyone a chance to write or draw throughout the week, then pick an evening to sit down and read through it together. Writing isn’t scary if you’ve been doing it forever, surrounded by the people who love you the most. It’s only a challenge when it’s new and clinical, judged by teachers and instructors who don’t know you at all. Our children deserve better. Our actions should follow suit. 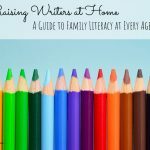 Want 101 reasons to write as a family? Looking for more support to build your culture of writers? 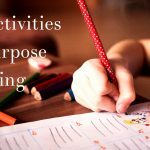 Come join my Facebook group, Writing Allowed! This is such a great reminder!! And, through these examples, you also displayed the “choose your battles.” Most parents (outside of you and me, it would seem) would come unglued at the tagging!! 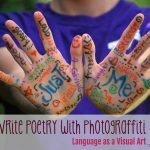 But, I agree with your point – walls can be painted, encouraging writers is something which must be done in the method they best determine. And, at least they were tagging in your home, instead of on others’ property! Haha true. I definitely don’t encourage it! 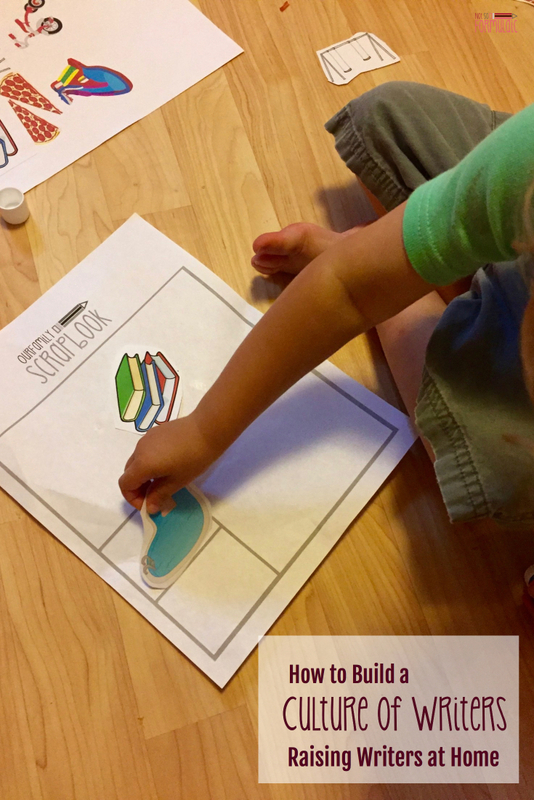 I love the idea of making a family scrape book. It is often hard to hold on to dreams. Sometimes they slip away. Now that my daughter is 20 and in college, one of my husband’s dreams has come to the surface and we are looking into the possibility of making it a reality. It has breathed hope and life into our life.